The East Kimberley Region’s dramatic outback landscape offers an unforgettable holiday experience where iconic natural resources meld seamlessly with an ancestral culture 40,000 years old. With so much to see and explore, a ‘must do’ attraction for your itinerary is Purnululu National Park, where you can embark on the adventure of a lifetime with your choice of Bungle Bungle tours. 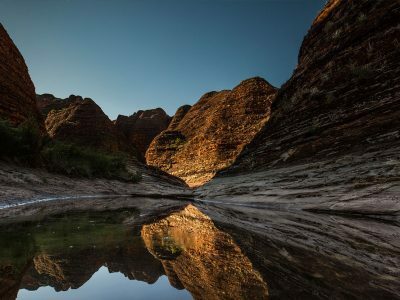 The Bungle Bungle Range: Renowned for its striking orange-and-black striped sandstone domes, yet undiscovered until 1983, one of The Kimberley’s best-loved attractions is spectacular from both land and air. 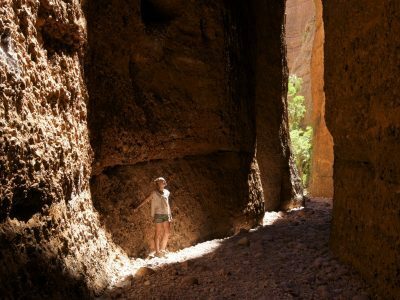 Echidna Chasm: The easy to moderate walk culminating in sheer rock walls rising over two hundred meters either side will leave you awestruck. Mini Palm Gorges: Immerse yourself in the natural beauty of Livistona Palms. 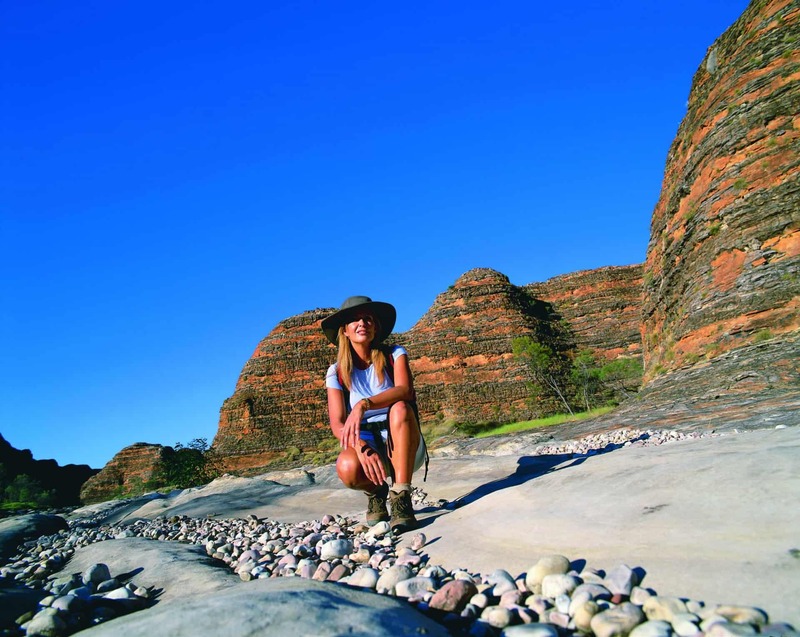 Piccaninny Creek: Experience the extraordinary Kimberley setting with a hiking adventure. Follow the scenic trail along the creek bed to Piccaninny Lookout or the gorge beyond. Cathedral Gorge: Famous for its acoustics, this atmospheric geological formation houses an incredible natural amphitheatre within its sandstone walls. 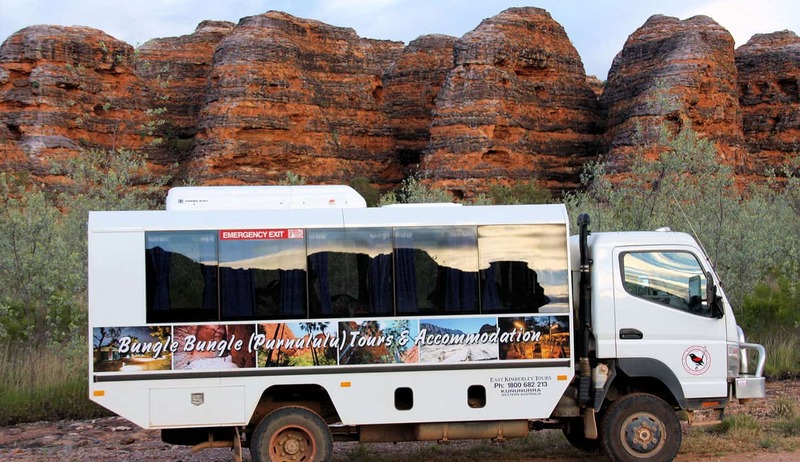 Wildlife & Nature: For bird spotters and flora and fauna enthusiasts, Bungle Bungle tours are a great way to experience the region’s wildlife and native plants, with Purnululu National Park’s 240,000 hectares housing a profusion of different species. The best way to maximise your time in Purnululu National Park is by way of a conducted tour by an experienced guide with local knowledge. East Kimberley Tours have been unleashing their guests’ sense of adventure for over thirty years with their award-winning day excursions and overnight Bungle Bungle tours. With itineraries designed to capture the ‘must see’ attractions of Purnululu National Park, East Kimberly Tours bring unrivalled local knowledge to their commentary leaving guests with an unforgettable and informative Kimberley experience, and memories of a lifetime. We understand and respect the deep spiritual significance of Bungle Bungle, and work collaboratively with its custodians, the Djaru and Kija Aboriginal people to facilitate tours that capture the essence of The Kimberley by both ground and air. With tours geared to suit people of all ages and fitness levels, guests have numerous options to choose from with convenient pick-up available from either Kununurra or Warmun. Experience the thrill of a 4WD tour, take to the skies for an unforgettable view of the Bungle Bungle ranges and surrounds by helicopter, or hike scenic trails through creek beds and ancient gorges. Capably accommodating groups of up to fifty with comfortable, well-appointed accommodation at Bungle Bungle Savannah Lodge, East Kimberley Tours believe the Kimberley is best experienced at a relaxed pace, and have tailored their tours to reflect this. Guests can choose from a Bungle Bungle Day Tour, or overnight stays with varied walking tours for a real Outback experience. Overnight travellers are accommodated in the Bungle Bungle Savannah Lodge, a unique bush retreat with cabins set against the stunning Bungle Bungle wilderness. Guests can self-cater or take advantage of the hospitality with delicious, home cooked meals in a hot and cold buffet-style selection. The Savannah Lodge represents a welcome oasis after a day of discovery and exploration, offering clean comfortable accommodation and amenities with unexpected mod cons such as power points in every cabin, pedestal fans, bar, and a swimming pool to take a refreshing dip. 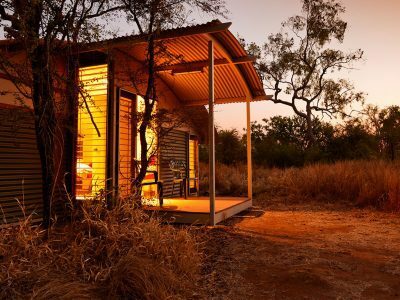 Committed to sustainable tourism and reducing their environmental footprint, Bungle Bungle Savannah Lodge embraces environmentally friendly practices including using rain water tanks and eco-friendly toilets, utilising waste water, and servicing their vehicles off site. With a global reputation for excellence in eco-tourism, East Kimberley Tours have been recognised with numerous tourism awards at state, national and international levels. This is reflected in their passion for the East Kimberley region and the indepth local knowledge and history they pass on to guests.